We wish to invite you all to this years Nordic Larp Talks hosted in Odense Denmark! The Nordic Larp Talks have been running in conjunction with Knutpunkt since 2010. Nordic Larp Talks Odense 2019 is organised together with A Week in Denmark and Knudepunkt 2019. Hosted by Johanna Koljonen. This event is free! The programme will start punctually at 19, so come early. Doors are open from 18. We will attempt to live stream the full event on Facebook (but in practice it always depends on internet magic on the day, sorry). 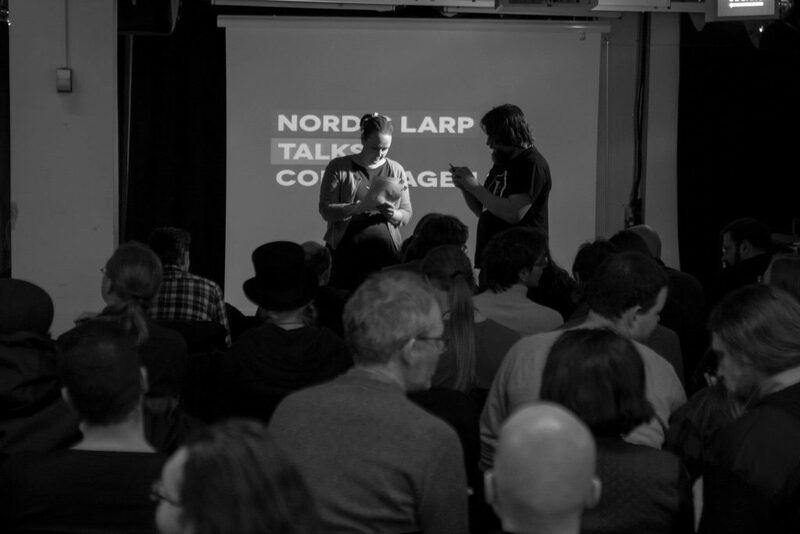 Nordic Larp Talks is a series of short, entertaining, thought-provoking and mind-boggling lectures about projects, ideas and design practice from the Nordic and collaborative traditions of live action roleplaying. Kick-start your convention with a fun night of new ideas!